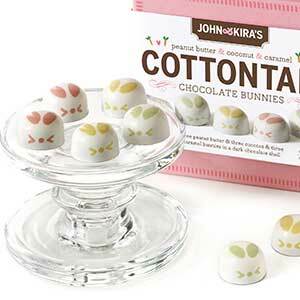 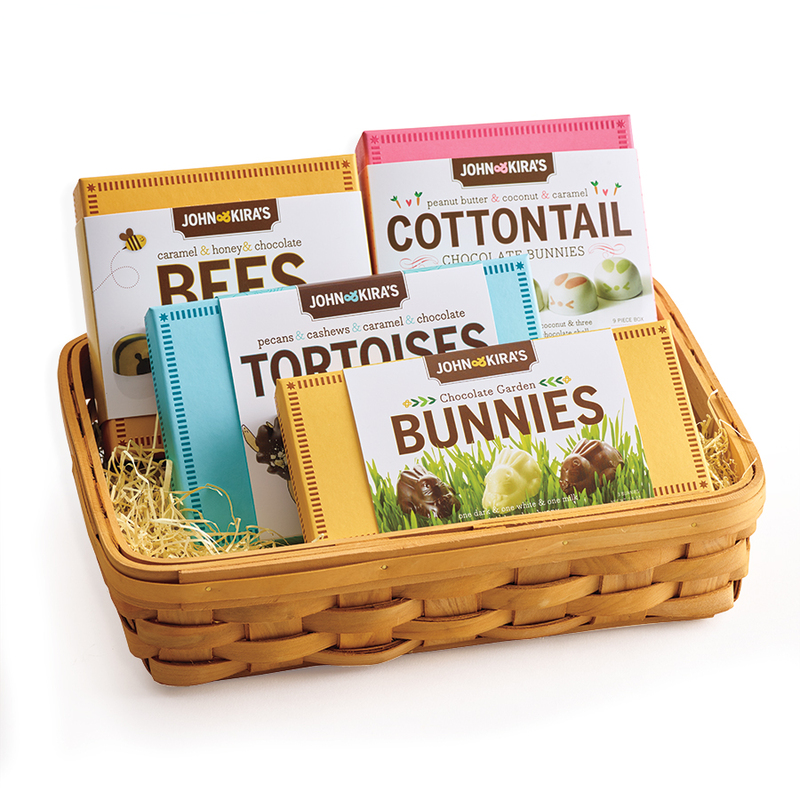 An Easter basket brimming with bunnies, tortoises, & bees, all handmade by the John & Kira's chocolatiers. 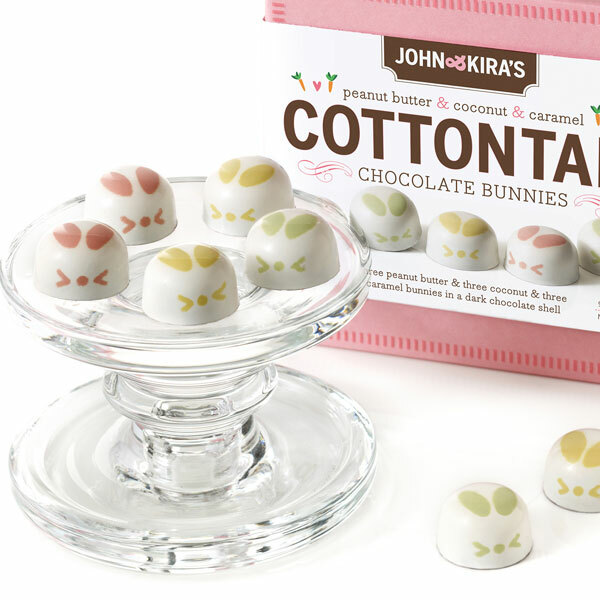 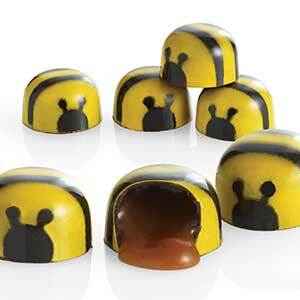 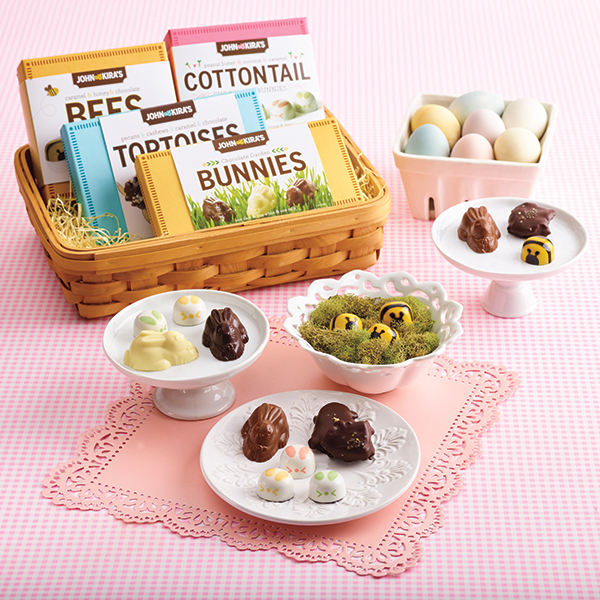 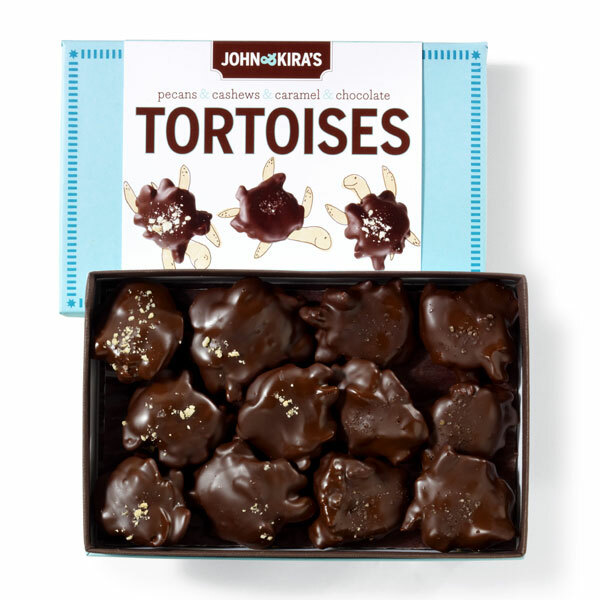 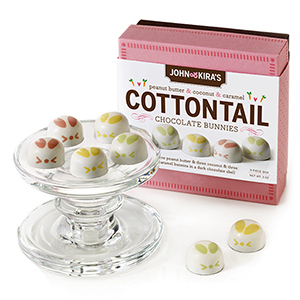 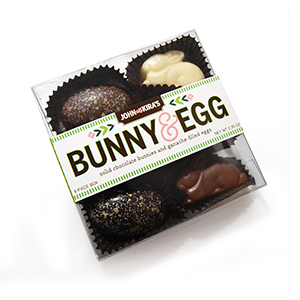 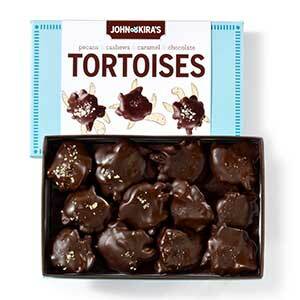 A 9-piece box of Chocolate Honey Caramel Bees sits alongside the 12-piece Maple Pecan & Cinnamon Cashew Tortoises and two versions of the Easter Bunny: Coconut, Peanut Butter, & Caramel Cottontails and the Solid Milk, Dark, and White Garden Bunnies. 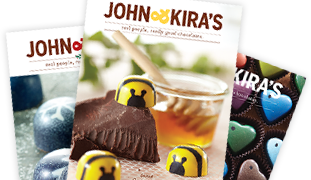 These popular flavors are all guaranteed to be delight! These four brightly colored boxes come nestled in a beautiful Easter Basket finished with a French wired ribbon. 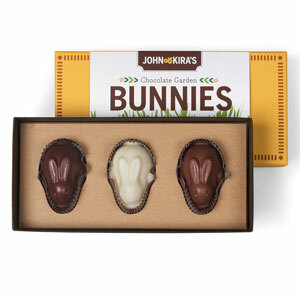 The perfect gift for a truly memorable Easter morning or a surprise for a dear friend or relative far away. 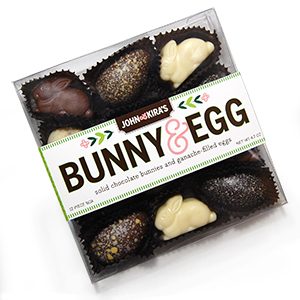 Contains: Tree Nuts - Coconut & Pecan & Cashew, Peanuts, Milk, Gluten, & Soy. Made on shared equipment with tree nuts.